A comment box is a great way to collect feedback from your customer or from your blog readers who provides you an easy to understand reports. Comment box allows your readers to give their honest and valuable opinion about your post, something that your readers can say and express. It also encourages your blog readers to participate actively with other readers of your blog. So, let’s come to the main point for the reason you are here. Blogger comment box by default does not much catchy and seems dull. If you need to customize your Blogger search bar. Here I have 15 best-customized blogger search bar. 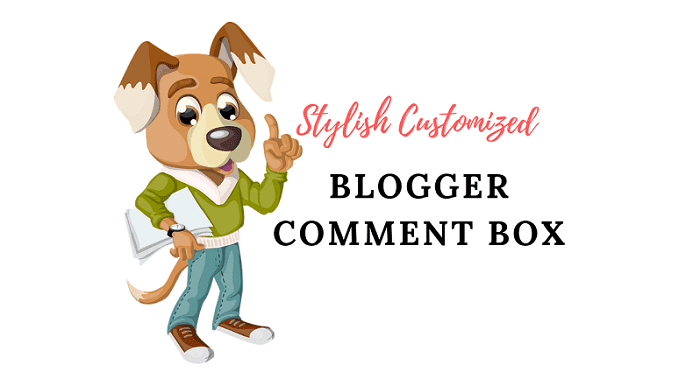 That’s why I have this 3 best-customized comment box for your Blogger blog that you can implement into your blog as you choose or as per your blog theme color. Just follow the simple steps and will get the best comment box for your Blogger blog. Watch the Video guide to understand better. To back up your theme. View any of your blog posts, you will have a great looking comment box as shown below. I am vey thankful i was looking for a post like this, i want to have a customize comment box for my blogspot blog.